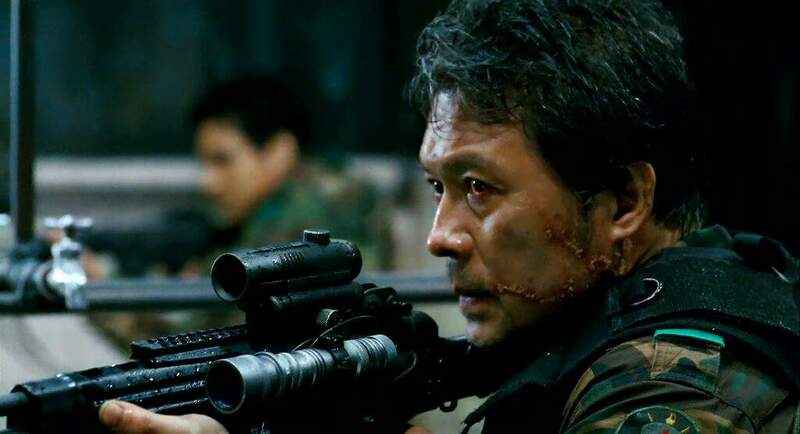 When thinking of foreign horror, South Korea may not immediately spring to mind, but the country produces some real gems, including these five standouts. I recently wrote an article about why I think foreign horror is often superior to what’s being produced her in the States. But I don’t want to just make a bold statement like that and not back it up with solid recommendations for those of you looking to discover great new horror from around the world. So I’ve decided to highlight some of the best films from various countries, beginning with Korea. When someone mentions Korea, what’s the first thing that pops into your head? The Korean War? M*A*S*H? K-POP (maybe Psy’s Gangam Style or the boy band BTS)? The actor/singer Rain? Whatever your response, I’d wager it’s not scary movies. Now, I must admit I’ve been enamored with Korean culture for nearly a decade. I devour Korean TV dramas and variety shows, jam to K-POP on a daily basis, and even began teaching myself the language (it’s not as difficult as you might imagine). So naturally, it was only a matter of time before I discovered they also produce some of the world’s best horror films. Could have knocked me over with a feather. The production values, acting, scripts, special effects…all first rate and on par with anything vomited out of Hollywood’s studio system. If you don’t mind subtitles and want to expand your horror horizons, I recommend the following, which I consider to be among Korea’s best scary movies. 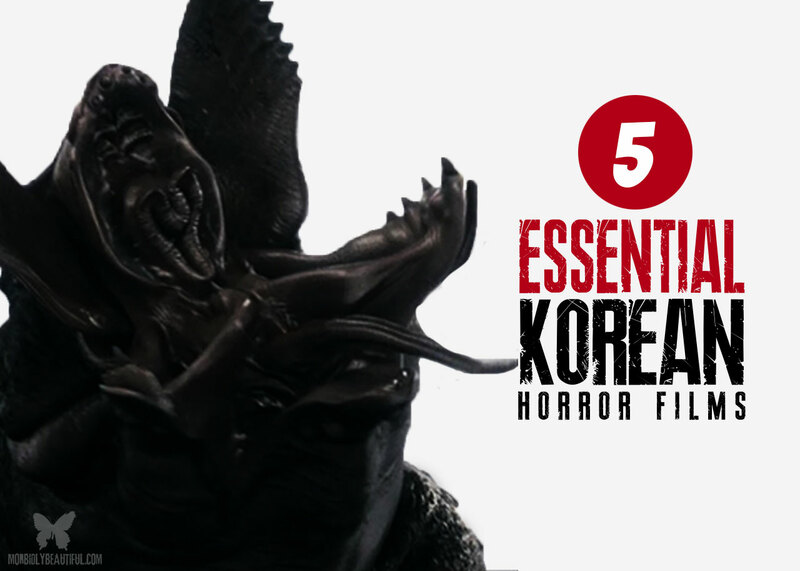 This creature feature takes place in Seoul where the slightly dysfunctional Park family lives a hand to mouth existence. Grandfather Park runs a snack truck and has two ne’er-do-well sons, a daughter who’s a world champion archer, and a granddaughter. 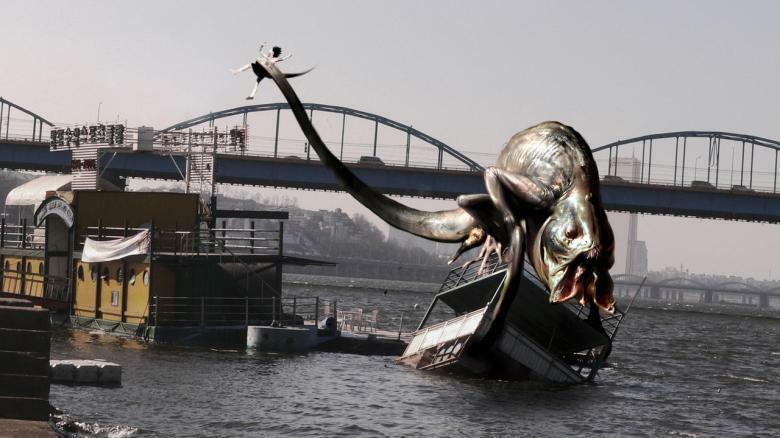 When a grotesque sea monster the size of a box car rises from the depths of Han River, death and mayhem ensue. Only when the creature disappears and the chaos subsides do the Parks realize the granddaughter is missing and presumed dead. They soon learn, however, she’s alive and trapped in the city’s vast sewer system, a future snack for the kidnapping beastie. Failing to convince the authorities to ride to her rescue, the Parks set aside their personal differences and team up to save one of their own. Recurring themes that fuel the majority of Korean horror are sacrifice, redemption, and pathos. All are present and accounted for in The Host. Sounds rather depressing, doesn’t it? Very few movies in this genre have a “happy ending” and while the denouncement of this film may not be all sunshine and rainbows, it does leave you with a sense of…mollification. I liked The Host because not only is it very well made, nerve-racking, and scary but also because it focuses on how a family deals with the emotional carnival ride associated with fear, grief, denial, and ultimately love-fueled revenge. Also, the monster is really groovy. You can see this incredible film for yourself now on Shudder. This offering is dark, bloody, disturbing, and just plain weird. An investigator is dispatched to a military outpost near the border with North Korea because sketchy reports indicate trouble is afoot. It seems that an affable, easy-going young soldier took an ax and hacked a great many of his fellow troops to death. Those still alive are all acting squirrelly, especially a lieutenant and the doctor. Log book entries are missing but the investigator eventually discovers a patrol recently returned from the surrounding woods unwittingly carrying an unknown and terrifying contagion. The bug affects the brain, turning affable and easy-going folks into homicidal maniacs. Reinforcements are on the way and the infected want out so the disease can spread. It’s a race against time for the investigator to find a way to prevent the contagion’s release. The ending is quite a nail-biter and…explosive. The Guard Post reminded me of The Crazies but with an overwhelming sense of claustrophobia and dread. The downside is the subtitles. Half the dialogue is translated badly, and the other half wasn’t translated at all. Nevertheless, it’s still well worth your time. The blood and gore alone make this one worth your time, so don’t eat until after watching it. The Guard Post is available to rent on YouTube. So what would you do if you discovered a species of tiny sea creature that is petroleum-based and capable of replacing oil as an energy source? Why, you’d experiment on it until it grew to the size of a hippo and looked like a scorpion/jellyfish hybrid with a hankering for human flesh, of course. That’s what the crew of an oil rig must contend with in this horror actioner. 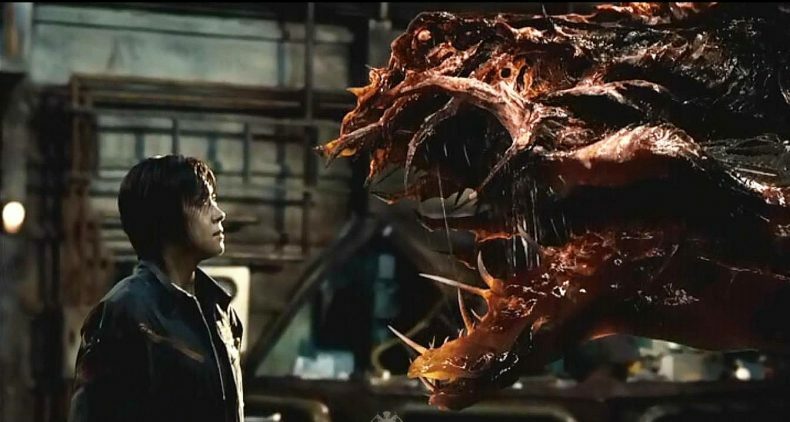 With a kickass female lead, a self-serving douchebag looking to make a buck, and an unstoppable monster, this movie reminded me a lot of Aliens (one of my all time favorites). Instead of nuking the rig from orbit, these folks must rely on the oil rig’s self-destruct mechanism. They fight like hell to abandon the rig before it blows which ratchets the tension up to 11 and keeps you riveted to the screen. Most horror flicks are filled with throwaway characters used primarily for monster food. What Sector 7 does instead is flesh out all the roles until we become emotionally invested in the characters so it feels like a body blow when any of them are killed. Clever and cruel and the same time but highly effective. This is not one of those movies where you root for the bad guy. You just want it dead. You can watch Sector 7 for free on ShoutFactoryTV. With a 99% fresh rating on Rotten Tomatoes and endless comparisons to The Exorcist, this demon possession shocker is not only one of Korea’s best horror films but one of the best horror films period. A series of bizarre murders plague a small town in the countryside. A hapless cop who lives with his wife, daughter, and mother is assigned to the case and soon discovers there’s much more going on than simple murder. Initially, blame is placed on an elderly Japanese recluse but there’s also a mysterious woman in white involved…somehow. In the midst of his investigation, the cop’s young daughter falls ill and begins to act violently. A shaman is called in as the girl is believed to be possessed. The exorcism is stopped by her dad when it appears the ritual is killing her. The cop goes a bit off the rails and gathers a posse to hunt down the Japanese man who they think is responsible and, well, kill him. The shaman frantically calls the cop to tell him the baddie is not the Japanese man but the woman in white. In the end, after twists and turns and more edge of your seat tension than should be legal, we do learn the truth. And the truth will blow you away. I had to watch The Wailing twice to fully understand it, mostly because the traditional Korean mysticism and folklore referenced were unknown to me. Additional viewings do not in any way lessen the film’s impact, rather they heighten it. I cannot remember another film that filled me with such dark foreboding and unease. The suspense alone is staggering but couple that with the scary bits (including one scene that almost caused me to pee my pants) and you’re left with a masterpiece of cinematic horror that I must admit is better than The Exorcist. The Wailing is currently available to watch with a Netflix subscription. You can’t have a horror best-of list without a zombie flick, and this is one of the best ever made. The premise is as simple as it is brilliant. A father is taking his daughter from Seoul to Busan (basically from the north end of South Korea to the south end) via the KTX bullet train. The dad’s a workaholic business man and the girl wants to be with her mom, his estranged wife. As they board the train, little do they know a zombie apocalypse is in the offing or that one of the infected managed to sneak on before the doors closed. Faster than you can say “boomstick,” half the train is a twitching, snarling mass of undead. These are not George A. Romero zombies, by the way. These are the fast bastards. The survivors barricade themselves in a car toward the front of the train and then fear-driven paranoia takes over, making the humans as dangerous as the undead. Ultimately, the bullet train is forced to stop and the remaining miles to a reported military safe zone must be covered via other, slower means. Which is unfortunate for some of the six characters we get to know and like. Pathos, remember? Train To Busan runs on characterization instead of gore, which is refreshing if not odd. I mean, it’s a zombie flick so there must be exploding heads and the ripping and munching of entrails, right? Not this time. These characters, their emotions and actions are vividly realistic and force us to empathize with them. This is a difficult feat in horror yet the norm for Korean filmmakers, which is why I feel their movies are usually so much better than ours. You can check out Train to Busan for yourself on Netflix. If you have suggestions for other awesome Korean horror films, I’d love to hear them. Please look forward to future lists of horror movies from Thailand, Spain, and more. Until next time, stay groovy.